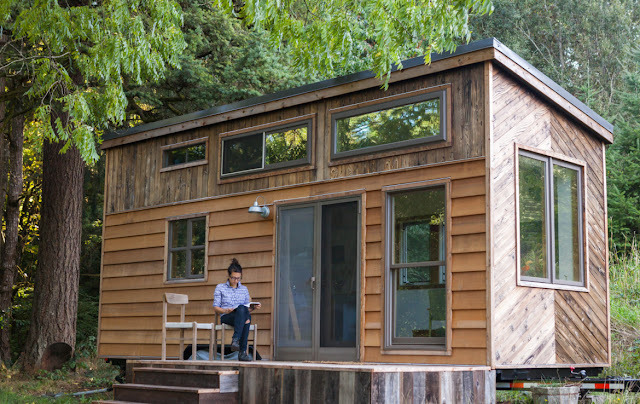 This gorgeous custom tiny house was built by its owners for their own use, however, they have to move and their home is now up for grabs! The house is built onto an Iron Eagle double axel trailer with a standing seam metal roof, clear grain cedar siding, and hypo-allergenic insulation. 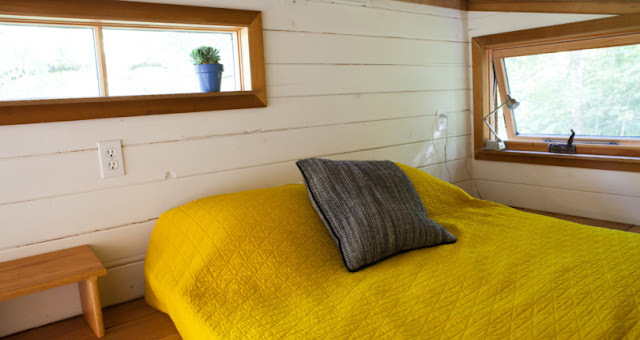 Inside the home's 260 sq ft interior is cork flooring and a natural blue beetle kill pine ceiling. 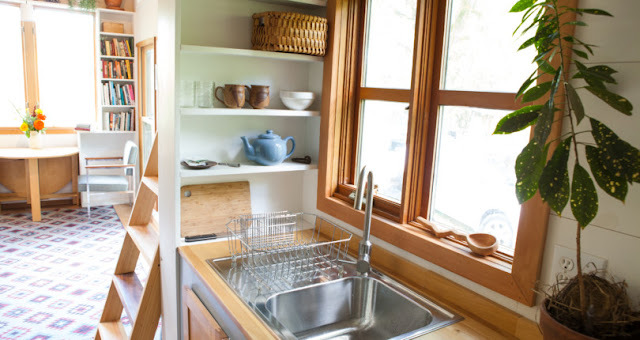 The kitchen comes equipped with a three-burner gas cook range with an oven, in addition to a fridge/freezer. 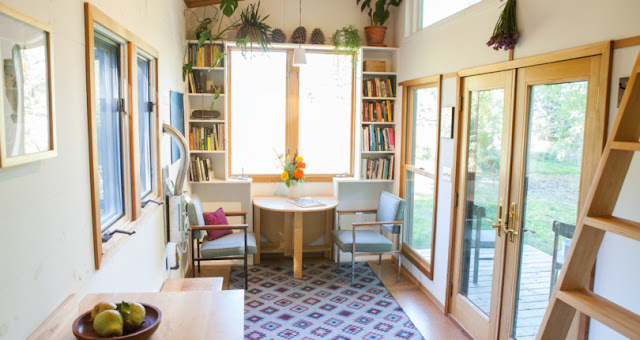 There's also a stunning living room with built-in shelves to create a cozy home library and a collapsible table for working/dining. French doors and lots of window space help to flood the room with natural light and make the home feel roomier. 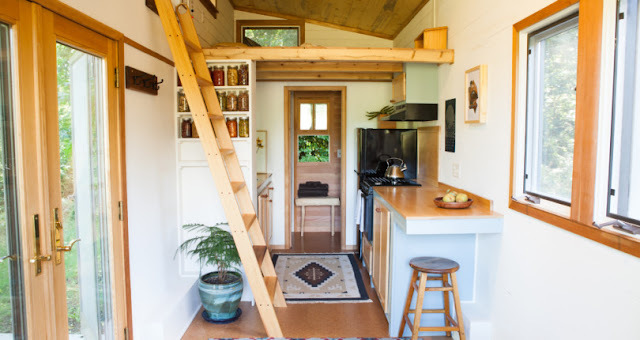 There's a loft bedroom in the loft space of the home, accessible by a Douglas Fir ladder. Behind the kitchen it the bathroom which features a shower, sink, and toilet. 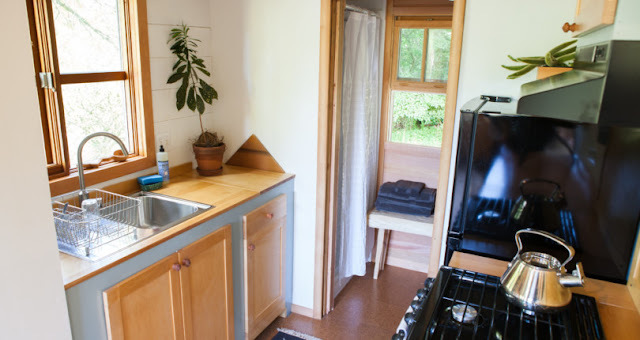 Also included with the home is an on-demand water heater and a propane visible-flame fireplace heater. You can view the listing here to contact the seller with more info and questions! Currently listed at $65,000.